The Borgel I bought the other day has arrived and it's not quite what I expected. As is my habit, I've been pretty opportunistic, picking up bits of Borgel case and screw mechanism whenever I saw them and also picking up the standard military issue Borgel which. I thought, was identical in all but dial to the Mallory Borgel. Every other bit of Borgel I've picked up has been 32mm and I just assumed that this was the standard Borgel size, whether the case was round or cushion shaped. When I bought this latest Borgel, I assumed that I was just getting the dial exactly right, but it turns out that the Mallory Borgel is significantly larger! Where the standard issue military Borgel is 32mm, the Mallory Borgel is 35mm (39mm including the crown) and a full 10mm deep.and thus, as they say, wears large. It's also significantly heavier in the hand and makes the military variation look and feel positively gracile. It's a significantly more robust watch. The only dimension that is smaller, and significantly smaller, is the 12mm lug width, compared to the more contemporary 15mm of the military version. As is so often the case, once realisation dawns, the signs are all there in the ergonomics of the subdial, but hindsight is always 20/20. The bottom line is that while there are plenty of Borgels out there, it looks like the majority are smaller and thus the Mallory variation starts to look like quite a rare heavy duty version, rather than a mere dial variation. Ironically, Rolex also offered two varient sizes, with the Lambert expedition getting 34 mm Oysters where the '53 expedition got 36mm. 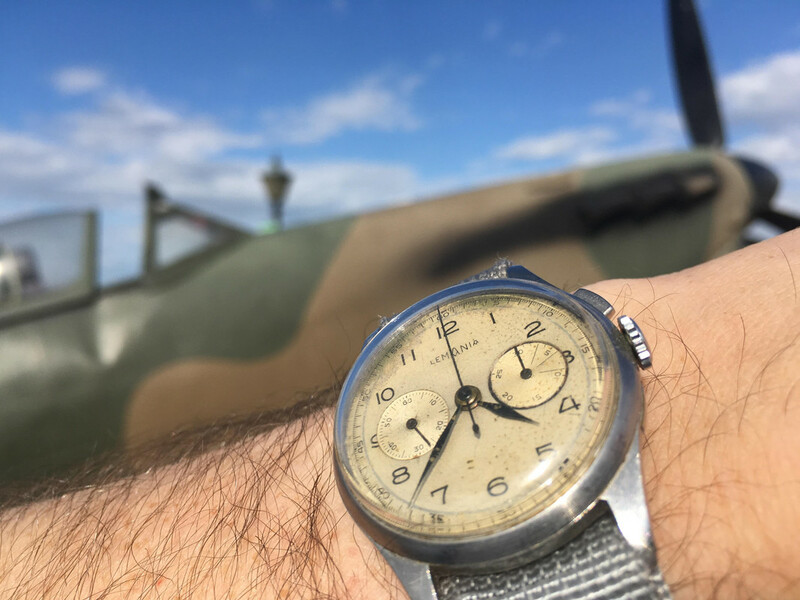 Neither, of course were Explorer dialled, making the closest currently available watch to the most common watch (that failed to conquer Everest) in the fifties at least, the Air King. Rolex offer plenty of silver dialled and date free watches from the period, but the precise dial used by the Hunt expedition is, as far as I can discover, actually a Tudor dial that Rolex transplanted; at least, I can't find a Rolex version of the dial that isn't one of the originals gifted to the RGS in '53. who got bored with my messing around at the bottom of the garden and unwisely curled up in the long grass. Last edited by tribe125; Sep 14, 2018 at 05:24 PM. So, with the Borgel, we have the first clearly identified watch that has been above 28,000 feet on Everest. Originally, I just meant to to do this as one great big section in an extended exploration of who had worn what on Everest as most of the stuff I've read is obvious hogwash. However, that just feels like a lot of faff for little reward, so I'm just going to throw up some of the bits that I think might be interesting and see how it goes. 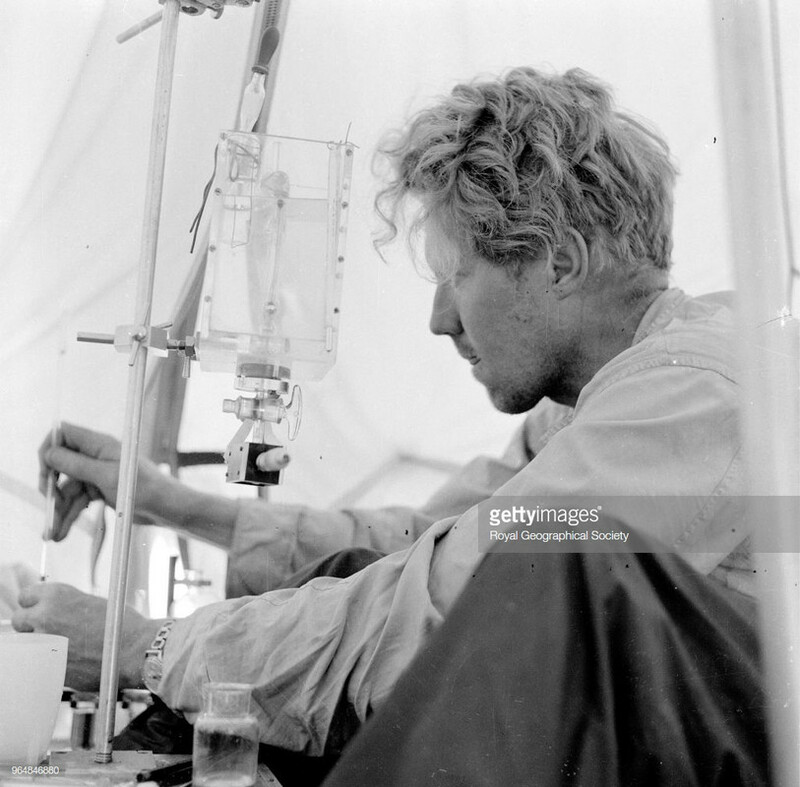 Which brings us to arguably the single most important climber associated with Everest: Eric Shipton. 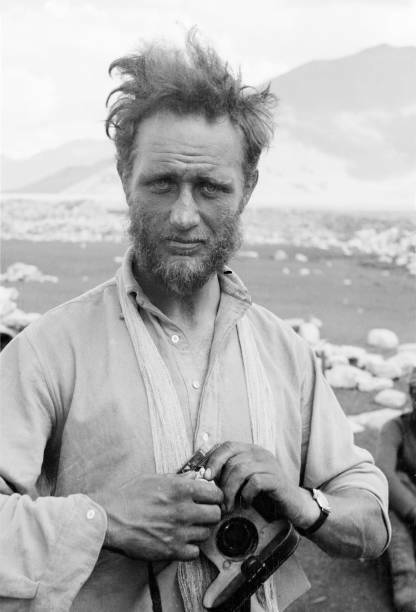 Eric pIcked up the baton dropped by Mallory and climbed Everest in 1933, '35. '36 and '38. When not directly assaulting Everest, he spent quite a lot of time surveying the area and climbing almost literally everything else that was there to climb. Eric gave both Norgay and Hillary their first chance to climb Everest and surveyed Everest thoroughly in 1951. He was meant to be the leader of the '53 expedition, but rather too vocally disapproved of treating a summit attempt as an exercise in logistical overkill. 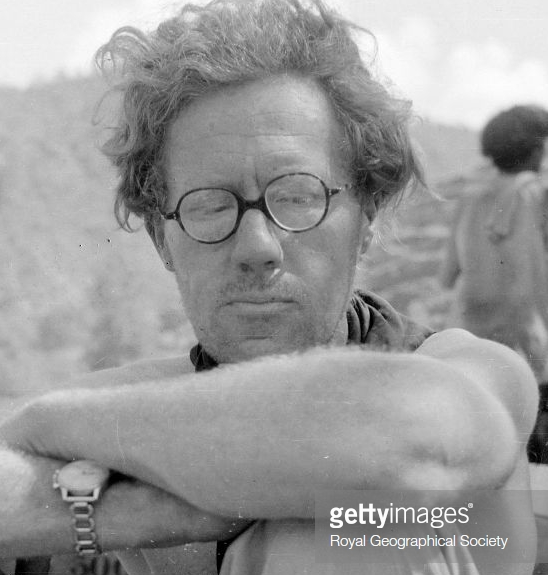 So here's the man himself, on the way up to Everest in May 1935. On either side of that delicate looking cushion case, there's a hermetically sealed threaded bezel and back. It's a step backwards from the Borgel in one way as it has moved away from the elegent monocoque, but a static centre case removes the need for a pinset. While Borgel had an effective fix for that and a fully waterproof crown, this is arguably the better solution. Of course, being a Rolex write up, it gently forgets that Borgel and Dennison had both produced screw down waterproof watches and had them in production for twenty odd years before the Oyster appeared. 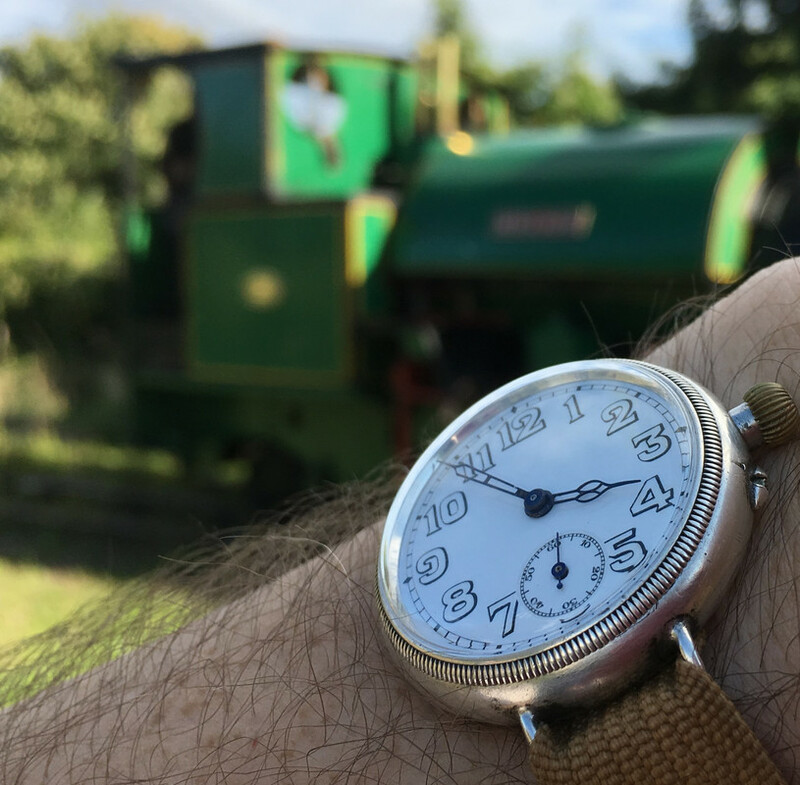 Mallory's Borgel protected the movement so well that when the watch was recovered from Everest seventy five odd years later, it carried on running as soon as the hands were disentangled! 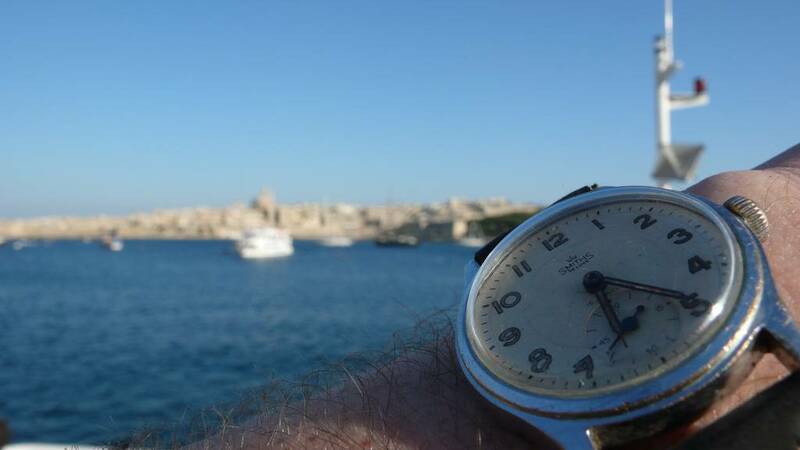 Note that the second hand is pointing to around one O'clock. 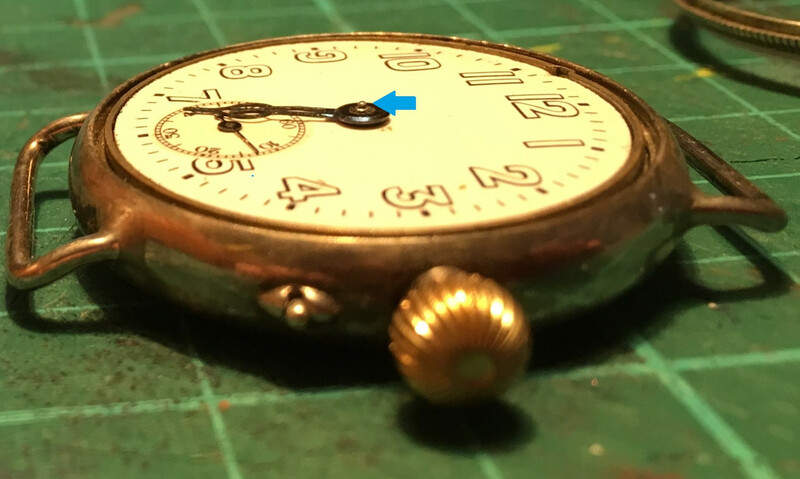 I'm also clear that the Fountainemelon movement and dial used in the Borgel are slightly different to normal trench watch movements. In the Borgel, efforts have been made to make the the dial itself water resistant. 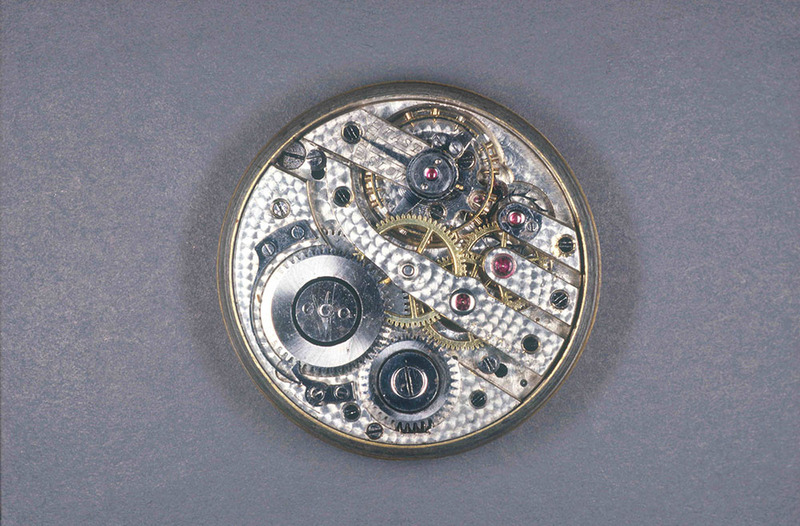 The reason for this is obvious: the early Borgel cases had glass fronts, but by the first world war, the watches were using 'unbreakable' crystals. The very first acrylics were still fifteen years away and so the first unbreakable crystals were, in fact, celluloid. like very thick old cinema film. The problem with early celluloid is that it tends to shrink in the cold... As such, early unbreakable crystals were more prone to failure than later ones, making a last line of defense a sensible precaution. As I alluded to earlier, this also solves the 'mystery' that has had a fair bit of ink spilled over it: the crystal fell out because it was celluloid and shrunk in the extreme cold. That explains why it was missing without any damage to the watch. 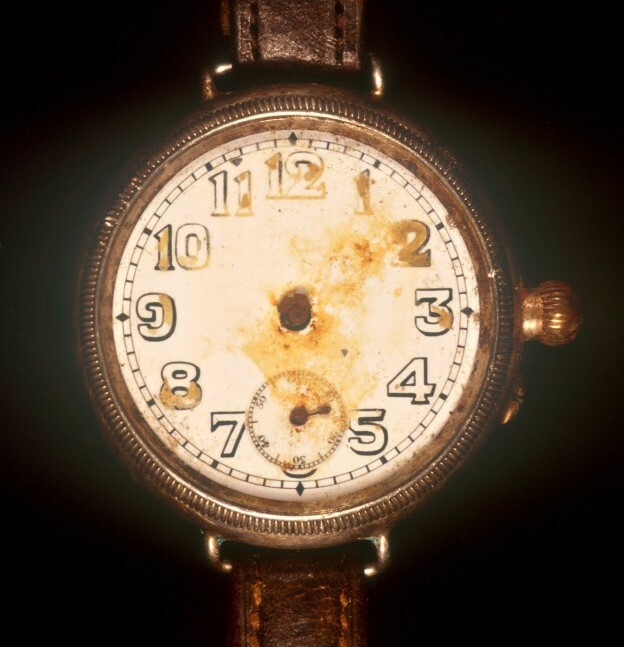 So, I'd say that the evidence for Mallory's watch ticking is pretty solid. However, I have a problem. As a kid, I was fortunate to do a bit of proper archaeology as I volunteered to help excavate the amphitheatre of Calleva Atrebatum, the old Roman Garrison town of Silchester near Reading. Literally all I did was remove dirt very very slowly. It was a bit like fishing or ebay, except I didn't find anything. However I had some wonderful conversations with lovely people and got enough training to be a useful donkey. One of the fundamental things that was impressed upon me is the value of knowing exactly where and how something is found. In short, the moment you find anything remotely interesting, your first instinct should be to protect the find, preserve its context and absolutely minimise the loss of information (usually by everyone stopping to have a gander, a cup of tea and (even then) take a load of photographs, notes and measurements while working out what to do next). 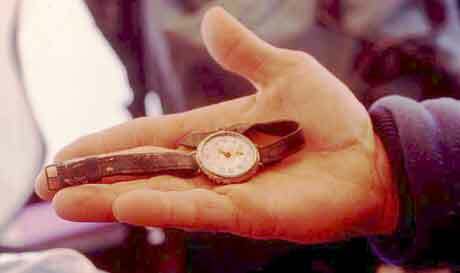 I really hope that, somewhere, there are literally thousands of pictures, of the retrieval of the watch alone, and that, rather than half a dozen internet theories and a blurry picture of a watch in someone's hand, there are proper pictures and notes of the site and precisely how the site was excavated. From all that I have seen, I do worry about the philosophy of conservation that applied (or didn't) here. I'm surprised that the Archaeologist they worked with after they returned didn't point out the best way of preserving some of the finds. Servicing the watch, for example, seems to miss the point of the value of the watch as a historical document first and a wristwatch second. Mind you, as they appear to have been gaily interacting with an open radium watch in which the substrate has failed, I can only assume that any radium they have accidentally breathed in or absorbed through their skin - and it will have - has almost certainly migrated to their bones as radium does and will carry on emitting quietly for the next fifteen thousand years. At least Howard Carter's curse was imaginary! I just wish there was more context. The watch is the most obvious example, and it is a travesty that no one knows the precise time that the watch stopped, but I can't help feeling that a whole pile of contextual clues are now permanently lost. Ah, so it’s an early social networking device. So yes, it's the official expedition alarm clocks. 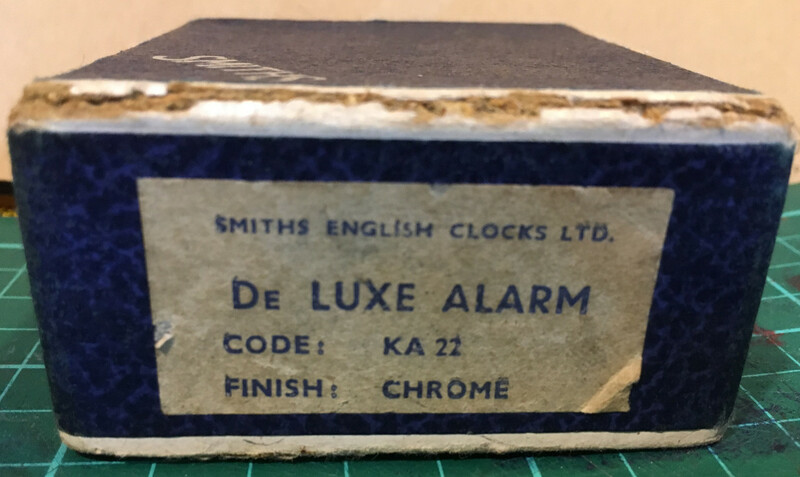 However, there was a problem: Smiths don't make a KAZ.2 alarm clock. 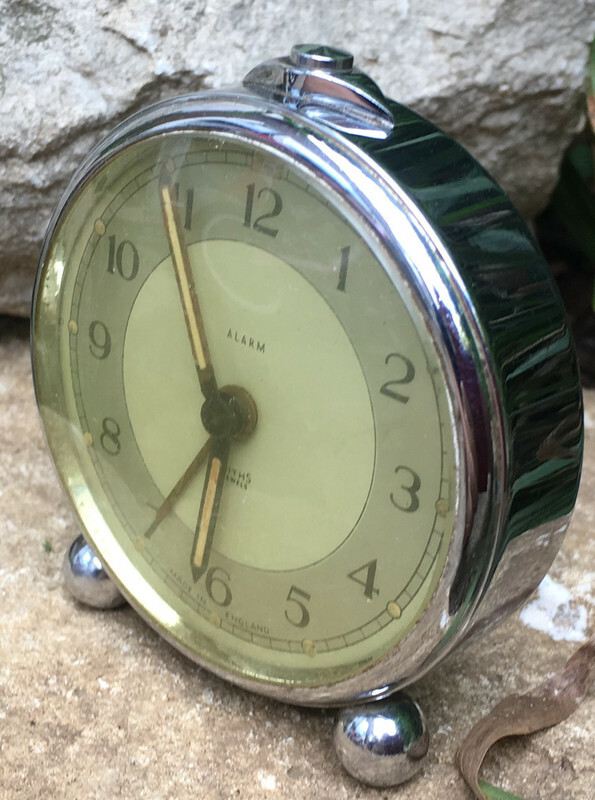 However, digging idly through their product catalogue, I discovered that they did make a KA22 alarm clock. It is indeed seven jewelled, a deluxe model with full lume. Then it was just a matter of finding one. As it turns out the deluxe version isn't so common and just for once, ebay didn't deliver and I found a NOS one at a steam rally. In the original box (even if like many on Everest, the posh leather case had perished horribly). And has that sort of deep chroming that is a pleasure to hold. The cooking version comes in brass. So, that's another thing that ticked high on Everest. Name that watch. Bonus points for the correct movement! *Edit* Oh well. I thought it was interesting. I've just spent the day at the Royal Geographical Society and it's been an education. I'll talk about most of it later in the other thread, but there's a couple of interesting facts to add here. First, I've had the opportunity to examine Mallory's Borgel thoroughly through a loupe and the claim that there is no damage is absolute hogwash! The tip of the cannon pinion, on which the minute hand would be mounted, has been snapped clean off, even leaving a little indentation and the site of damage is corroded to the same degree as the surrounding metal. The missing minute hand didn't fall off, it must have snapped off. In fact, if you look at the two images at the start of this thread you can see the extremely thin cannon pinion tip on my Borgel and that it is entirely missing on Mallory's, even leaving a tiny dimple where it snapped. This isn't obvious in the picture unless you are actually looking for it. It would be an easy thing to miss in the flesh too, especially without another movement to compare with, as most watches of the period have a cannon pinion of the same dimension all the way out of the hour hand. However, for someone who has been frustrated in trying to find an appropriate hand that isn't already broached too far, it stood out like a sore thumb. In addition, there is a sharp indentation at just about 2:40 and the whole side of the watch has been flattened off slightly at about nine or so. The sharp indentation carries less patina and may well be modern. the flattening is consistent and shows no surface damage even under a 10x loupe. However, a blow hard enough to snap the tip of the canon pinion is extremely significant. My workinmg hypothesis was that the celluloid crystal would have shrunk significantly as the low pressure area blew in during the early afternoon, lowering air pressure, temperature and visibility and raising wind chill, the one factor that Mallory's clothing wasn't fully competent to resist. However, the damage suggest that while this happened, it is less likely to be the cause of loss. Armed with a loupe, reading glasses and some fairly clear ideas of what I was looking for. Sadly, there's an absolute rule about not taking photographs in the collection and any images they make of the documents and photographs are purely for research purposes and would cost seventy quid a pop if I wanted to post them. However, now I know exactly what I'm looking for on the internet so we'll see. So I'm for cocoa and bed. Much more eventually. So this damage... from Mallory’s fall or somehow later? 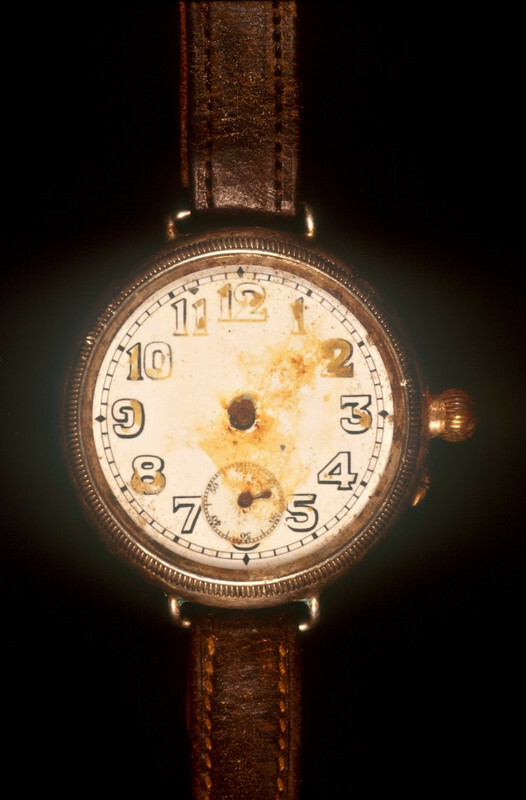 And it’s simply extraordinary that you’ve had your hands on Mallory’s watch... I scarcely know what to say. The watch was in his pocket when found. Sadly that's about as much context as we get. The earliest pictures I have seen have a clear hour hand and no sign of a minute hand. 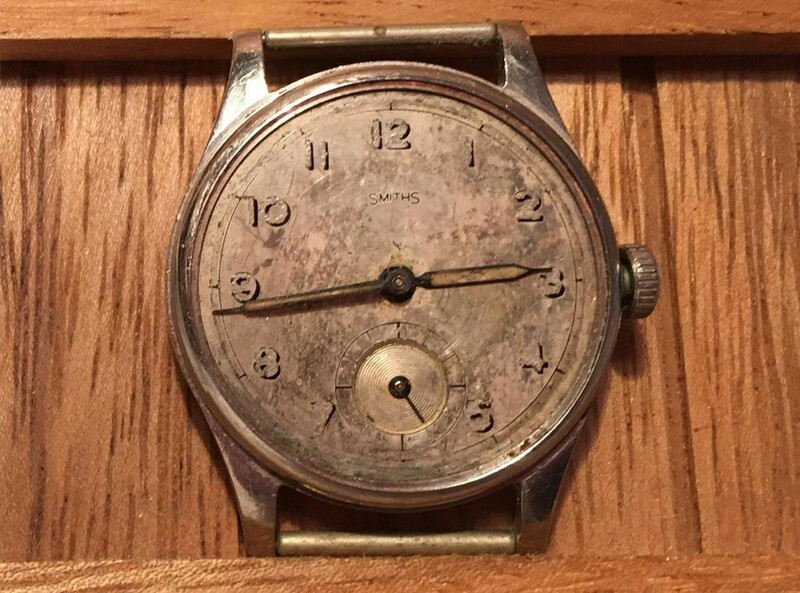 Personally, from my experience of radium lume I think you can always tell where the hands rested for long periods because of the lines of discolouration. As such, I'd put my money on a single hand pointing to about half past one as that's the only part of the watch with clear lines rather than general collapse however without the context of the watch's position in the pocket, the pocket's relative position to the ground, what else was in the pocket and so on, it's hard to say what was going on. even in a pocket, stratigraphy matters. I'm far from the first to look at the watch carefully, for example. However, it is unclear if most of the people writing about it are working from photographs or the original. I'd suspect that if they'd seen the original they'd say so. However no one I have read (and God knows, I've looked) has noticed that the tip of the cannon pinion has snapped off. Of course you only have my word (and competence) to support this claim but I am qute certain that the Borgel at the RGS had no hands, or stubs of hands remaining and that the pinion carrying the minute hand was snapped off. In fact, looking at this now, even the broken section of the pinion is parallel with the hour tube. while on mine it clearly stands a mm or more proud of the hour tube - in short it looks like it's not only been snapped, but pushed back in. How the hell did everyone miss this? A couple of months ago, I cumulatively spent a few days watching all of the film I could find that was shot on or around Everest in 1953, cutting out all of the watches and having a go at enhancing,magnifying and generally buggering about with them. As I expected, the overwhelming majority of the pictures were of Smiths A409 and Rolex 6098 watches, the two models of watches that were gifted to the expedition and shared out liberally between the team. Several team members wore both and one even wore a Smiths on his belt and a Rolex on his wrist. But this is another thread. However, there were two exceptions. One was Tenzing Norgay and the other was Doctor Griffith Pugh. For obvious reasons, Norgay is a Big Deal and I'm not posting anything until I can make an absolutely waterproof case, not least because the recieved wisdom of the internet and the testimony of his second son is clearly absolutely wrong. 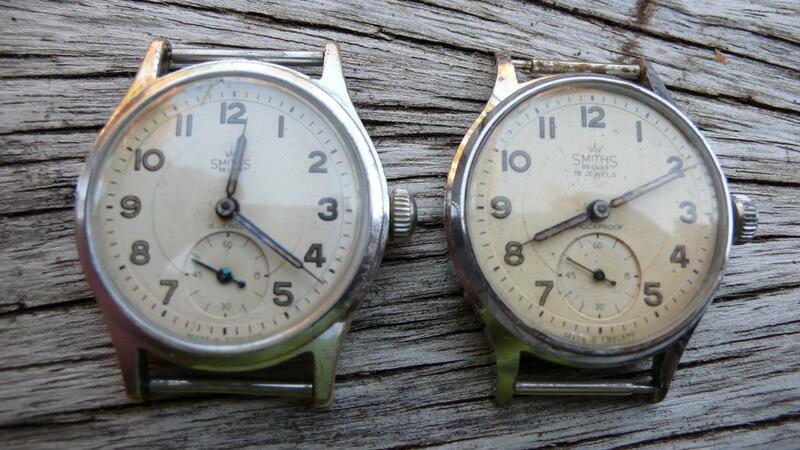 In the case of Pugh, I think I have enough evidence to make a convincing pictorial and inferential case for the claim that Griffith Pugh definitely wore an SSIH group chronograph: Omega, Lemania or Tissot with a Lemania CH27 movement, better known to all as the Omega 321 movement. In fact, I'll go further and claim that he almost certainly wore a mid forties Omega chronograph. That's the same 321 movement that was worn on the moon. This is, to say the least, unexpected and it's certainly not something I have seen claimed anywhere else. 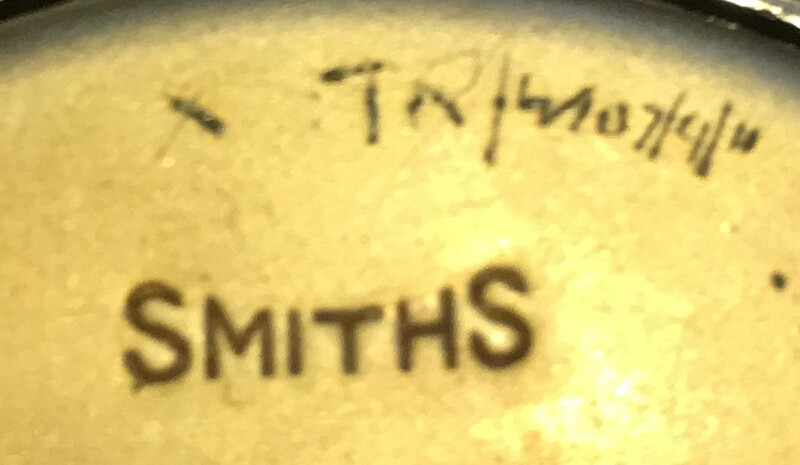 He also wore a Smiths A409 when climbing. My first picture is cut from the offical film of the expedition and, it transpires, was filmed at Farnborough in 1951. 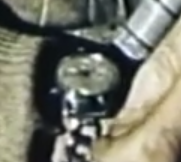 This may be a tiny blurred image, but one feature, or more precisely three features, stood out to me: the three sunken subdials clustered close together. These will be instantly familiar to anyone who owns a Speedmaster. So at that point, I had an intuitively obvious dial on the wrist of someone who would eventually climb Everest. This is one of those moments at which the very possibility is exciting, but the reality is that it's not enough to convince anyone who is appropriately sceptical. However, what it gave me was an idea of what I was looking for. 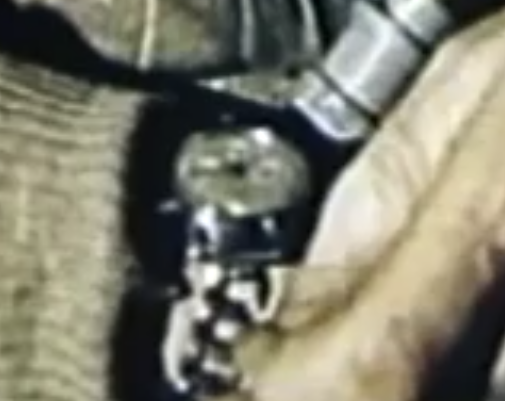 The other key feature isn't clear in this still, but is quite clear elsewhere in the film - the watch is on a thin bracelet, almost like a lady's dress bracelet made up of a series of rings. This is immensely useful as it is a really obvious feature that can link images together. 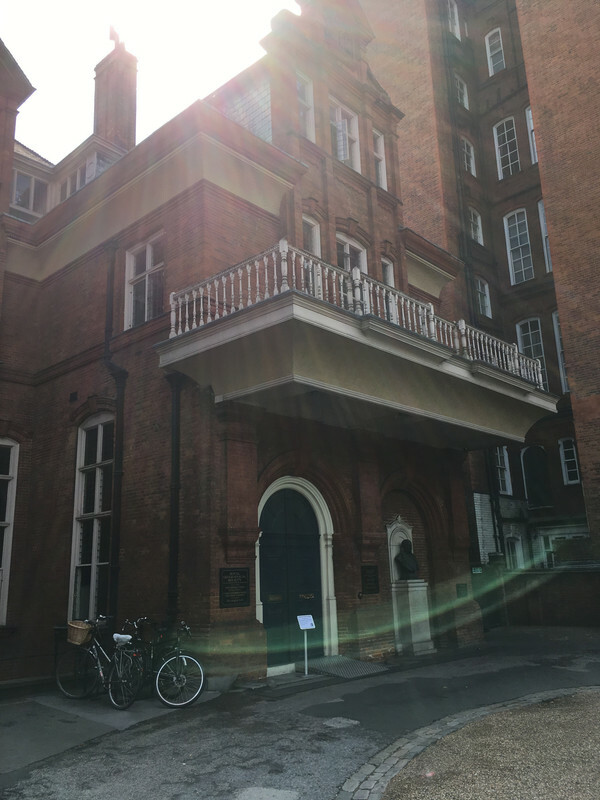 So, as I've mentioned elsewhere, on Thursday I spent the day at the Royal Geographical Society researching the Everest documentation and photographs. The pass number was a good omen! 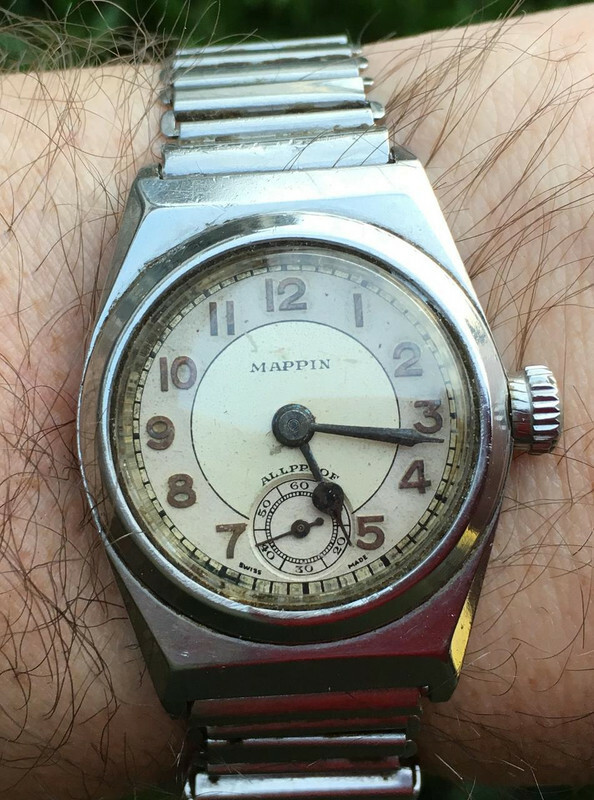 My main aim was Norgay and evidence of any watches given to the '51 and '52 expedition. However, my two secondary aims were finally finishing off identifying precisely who wore what on Everest and, as part of that, discovering if Pugh's chronograph made it to Everest. The RGS have around six thousand photographs from Everest and only a few hundred have been digitised and released. Unfortunately, the RGS do not allow photography and, while they will happily digitise images for personal and research use, they do not permit reproduction on the internet without the payment of a hefty royalty. 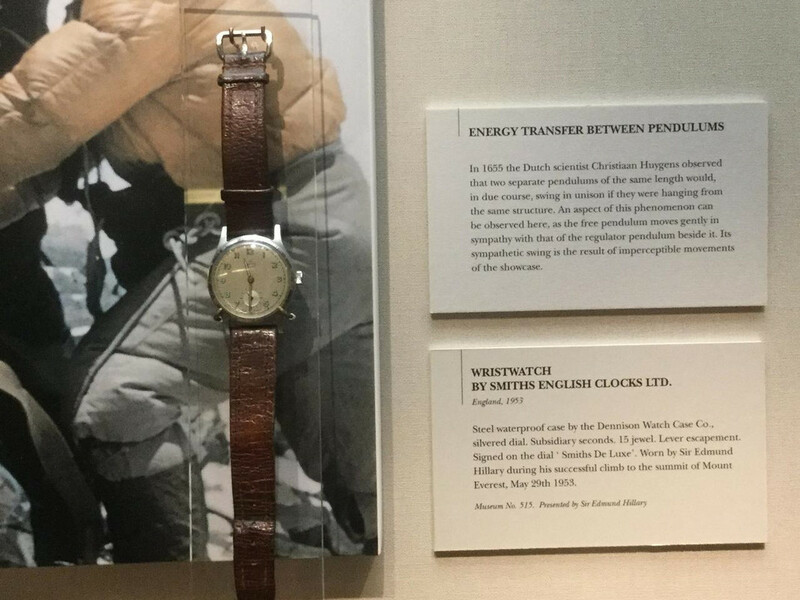 As a result of my visit, I am now quite certain that Griffith Pugh wore an Omega with a 321 movement on Everest. What I can't do is easily prove it here. For anyone who wishes to visit the RGS and ask very nicely, they are looking for, for example, images A27002 and A27373, both of which, when examined through a loupe, are pretty damn convincing to anyone with familiarity with the watch in question. They also show the watch on the odd circular bracelet and at height. So, I'm convinced, I'm convinced on the basis of obsessive familiarity with the Speedmaster family, further supported by the fact that Pugh clearly owned the watch in early 1951 which rather limits the number of chronographs that even remotely fit the features that can clearly be seen. However, that's not quite the same as convincing everyone else. Fortunately, as is so often the case, once you know exactly what you are looking for, you can refine your search and the internet will probably provide! I don't think the case I can now make here is quite as clear as the images at the RGS, but it's not far off. This is a very similar SSIH product from precisely the same period. As you can see, the pusher is effectively free floating and if you looked inside, you'd see that the pusher is just held in place by a leaf of spring steel. They could not be effectively waterproofed. The crown is just a flat disk and no attempt at waterproofing has been made. Firstly, this is clearly Pugh and the mystery watch equally clearly has waterproof pushers and a waterproof crown, not to mention that odd bracelet. The photograph was taken at Everest Camp Three in 1953. While this time the subdials are unclear, the watch itself couldn't be clearer. The pusher layout, lug shape and distance, not to mention the waterproof case are all quintessentially an SSIH style and in 1951, that was just three brands. This has identical dimensions,bezel, lugs and space between the lugs. 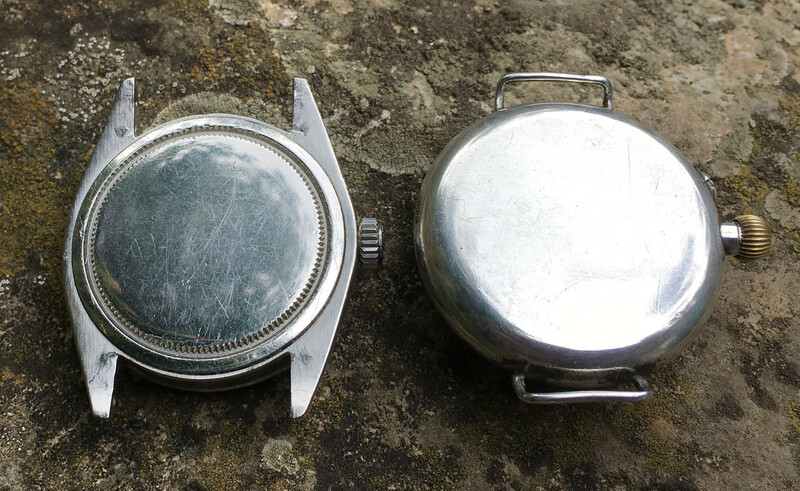 An identical 'modern' style large thick waterproof crown, identical waterproof round pushers, the same familiar subdial layout and is from precisely the correct period. It's almost identical to the infinitely more common CK2451, but I think that the CK2451's lugs join the case a tiny bit too smoothly. Again, I'm happy to be corrected. 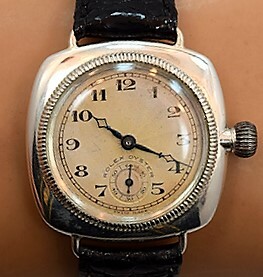 There is always the possibility that I'm looking at three or more different watches, but, like the Bonklip on Norgay's watch, the odd round bracelet links all the photographs. In the same way, there might be another watch out there that meets all these criteria, but I can't find it. I'd be delighted if anyone else can! 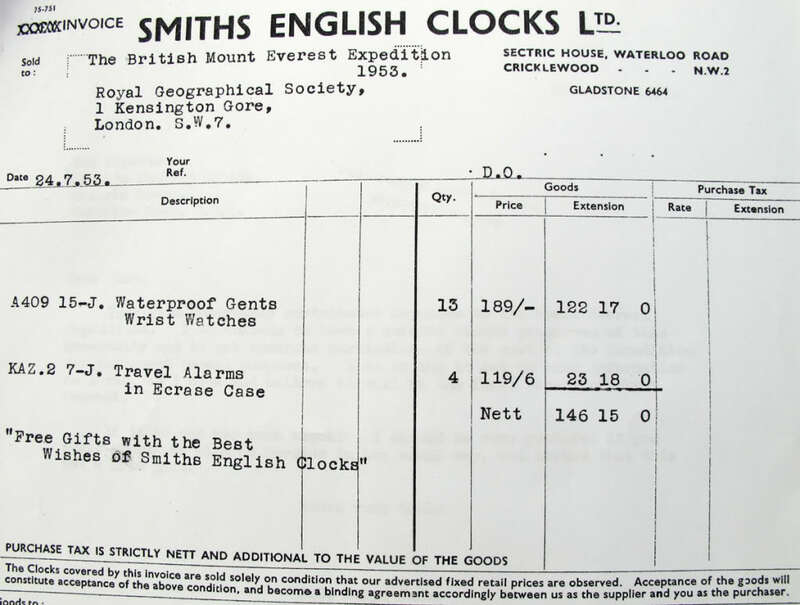 Until then, I feel pretty safe in claiming that there was an Omega CK2287 on Everest in 1953. The CK2287 was the first Omega watch that brought together many of the features of the later ST105.012 that landed on the Moon and has a strong case for being called a proto moon watch. 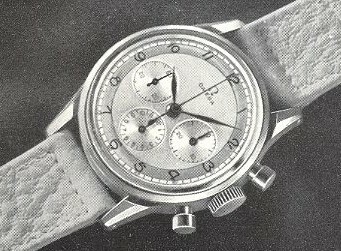 A proto moon watch on Everest in 1953! I can't deny it, it makes me smile to think of it. 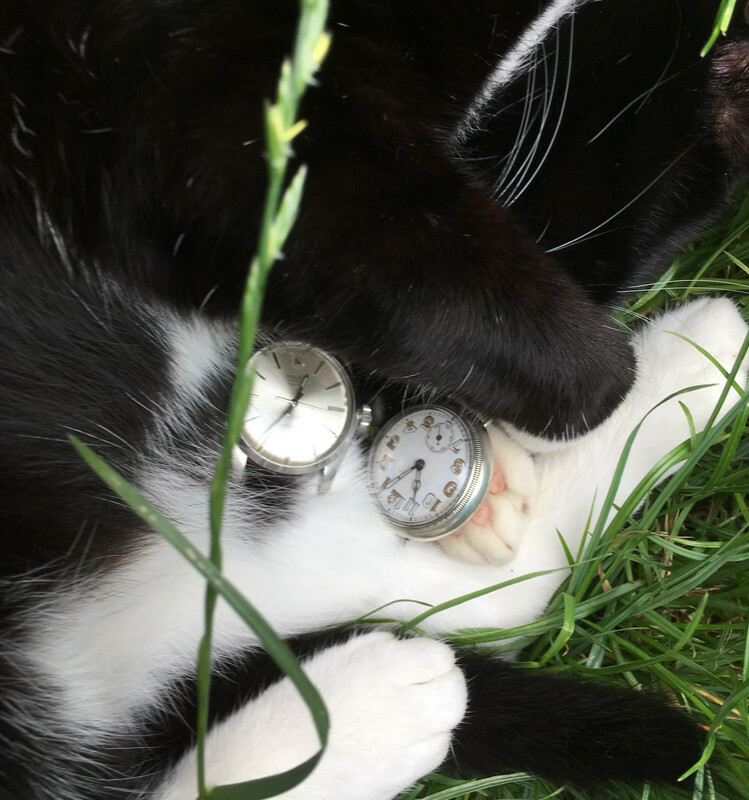 So how about another small fuzzy picture of a watch on the wrist of an enigmatically unclear climber? In fact, how about a fuzzy video? 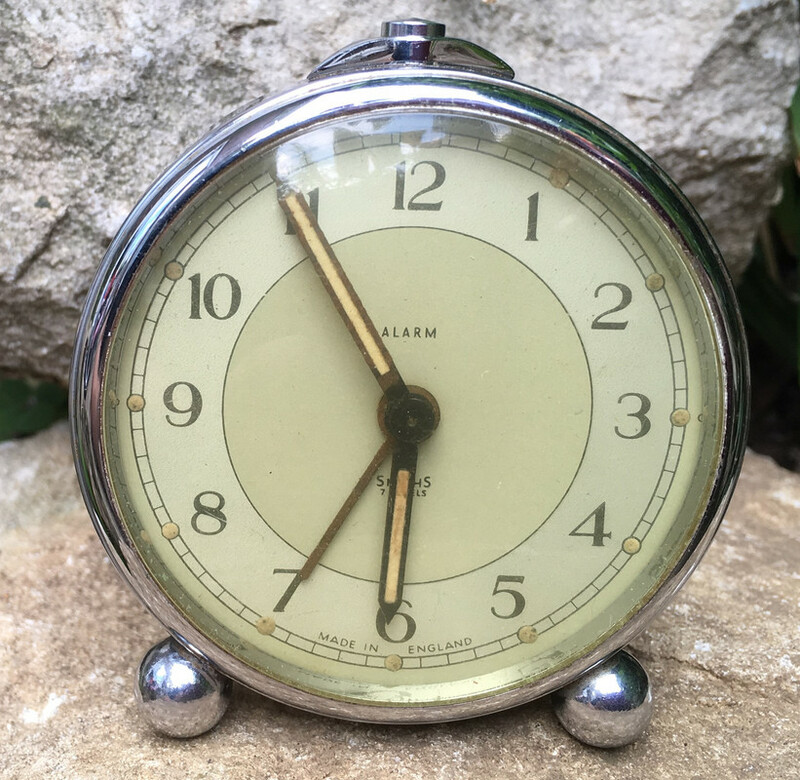 Except not, because Ward's would still have had the lume, which has been removed for conservation and safety reasons, leaving the dial bare and the hands relumed. 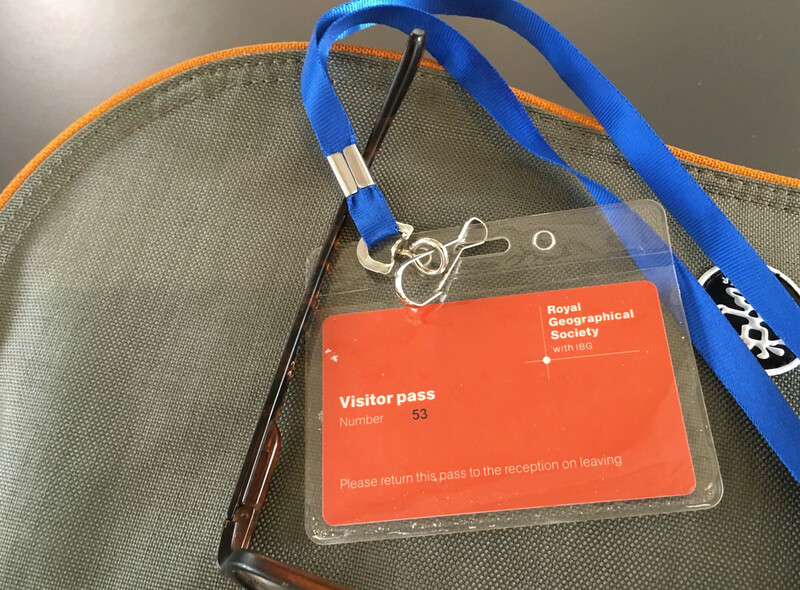 Funnily enough, I'm in the middle of an exchange with one of the curators at the RGS as I was a little surprised that no precautions were being taken to mitigate the radiation hazard from the crumbled radium 262 lume. The curator was blithely unaware that there was any hazard. He is now! was ripped off. No one in the team wore a black dialled watch on Everest. The only two people wearing metal bracelets were Pugh and Tenzing, Tenzings is very clearly a bonklip and Pugh's is, um, well, unique. £27,000. Bloody hell! Forgetting about the awesome historical connections for a moment, with the old lume removed (and not a peep from my soviet era Geiger counter) the bone white porcelain dial and heat blued hands set in a delicately fluted matt silver case resist the the usual horological cliches in a burst of one hundred and three year old pulchritude. This is, literally (and with a patent to back it up) the watch that set the trend for fluted bezels. Except this fluting isn't mere reification, it's the key to a screw down bezel threaded into a solid silver slab monocoque. The watch is, at 35.5mm, small by modern standards, but it is tall and it is striking. I'm still waiting for a 12mm calf NATO to arrive. I know it's not quite the same as the strap used by Mallory, but I've had a couple of scary moments with the folded metal open ended straps and I'd rather a modern standard of security, even if it's not exactly as Mallory had it set up. It is also genuinely waterproof. I don't mean theoretically, I mean actually. Not by much, only a couple of atmospheres, but it doesn't leak on the bench. I'm not going to test it in practice, but I'm absolutely delighted that, with a bit of TLC, the original design still works.